Peter Lemon Makes it 250 !! 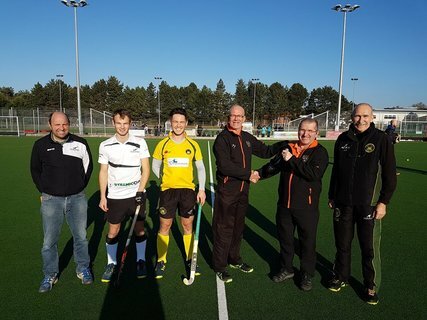 Peter Lemon (second from right), former Pelicans player and former President of Norfolk Hockey Umpires Association being presented with a bottle of bubbly before umpiring his 250th East Hockey match on Saturday 17 November between Norfolk rivals Norwich City And Harleston Magpies. Presenting the bottle to Peter is his umpiring colleague Tony Bond (third from right).